Today, the Copernicus Climate Change Service (C3S), implemented by the European Centre for Medium-Range Weather Forecasts (ECMWF) on behalf of the European Union, announces new key findings for 2018 in its annual European State of the Climate. This set of relevant indicators provides a comprehensive overview of the year 2018 in the context of a changing climate. The European State of the Climate reveals that 2018 was one of the three warmest years on record for Europe. All seasons were above-average temperature with summer being the warmest on record at over 1.2 degrees Celsius higher than usual. This underlines the clear warming trend of the last four decades. Starting in late spring and continuing into autumn, northern and central Europe experienced exceptionally warm weather, with temperatures being the highest recorded since at least 1950. Northern and central Europe also saw an extended period of drought. Seasonal rainfall was less than 80% below normal for spring, summer and autumn, spanning the entire vegetation and harvesting period and resulting in agricultural losses, water restrictions and low water levels in rivers. By contrast, some areas in southern Europe experienced the wettest spring and summer on record. Europe in 2018 also saw several cold spells at the beginning of the year affecting most of the continent, with February and March being the only months with below average temperatures. Heavy snow hit large areas of Europe, including the UK. Across Europe, extreme rainfall was below average but there were still a number of specific events. A notable severe weather event was ex-hurricane Leslie, which hit the Iberian Peninsula in October and was the strongest storm in the region since 1842, leading to heavy rainfall and flooding across northern Spain and southwestern France. A period of exceptionally heavy rain earlier in the year also caused severe flooding in Paris. As temperatures rose during the year, so did the duration of sunshine. Parts of central and northern Europe experienced up to 40% more sunshine hours than average with Germany being the sunniest on record. Southern Europe, however, experienced below average sunshine duration. The impact on glaciers was significant with the European Alps suffering the most mass loss, while the surface temperatures of European lakes were the highest since the beginning of records in 1995. Fire danger was well above average in many parts of northern Europe, particularly in Scandinavia and around the Baltic Sea, with wildfires in Sweden labelled as the most serious in modern history. 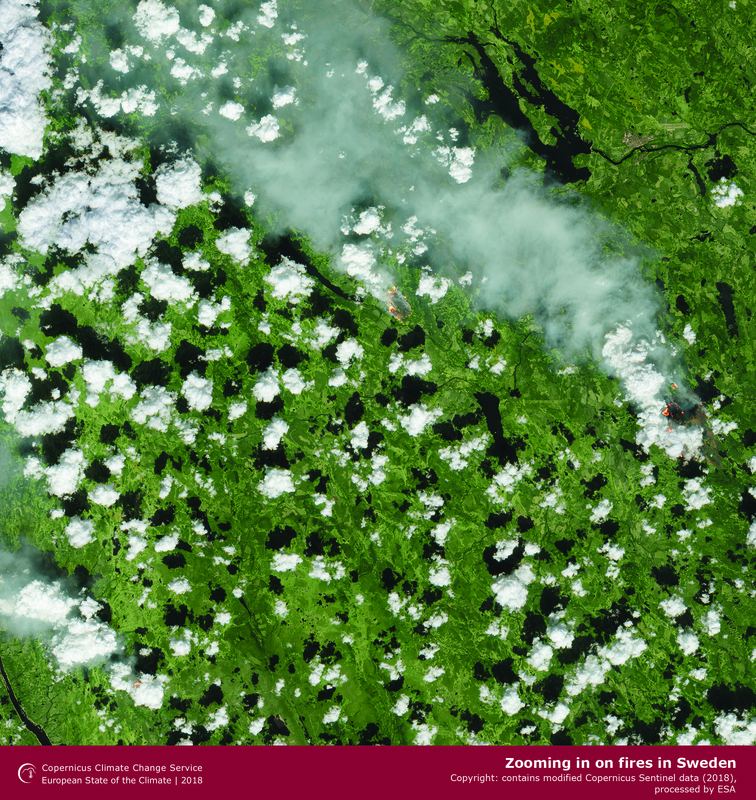 Subsequently, northern Europe saw the highest annual levels of wildfire emissions since at least 2003. In addition, 2018 was the first year since satellite observations of sea ice began that a larger area of open water known as a polynya occurred north of Greenland in winter. Below-average sea ice cover is a continuing trend for the European Arctic and most months in 2018 showed corresponding above average temperatures. During summer months, sea ice was more than 30% below the long-term average. The report also includes data on the three main greenhouse gases - carbon dioxide (CO2), methane (CH4) and nitrous oxide (N2O) - and shows that the global estimated net surface fluxes of greenhouse gases into the atmosphere have been increasing in recent decades. This trend has continued in 2018. 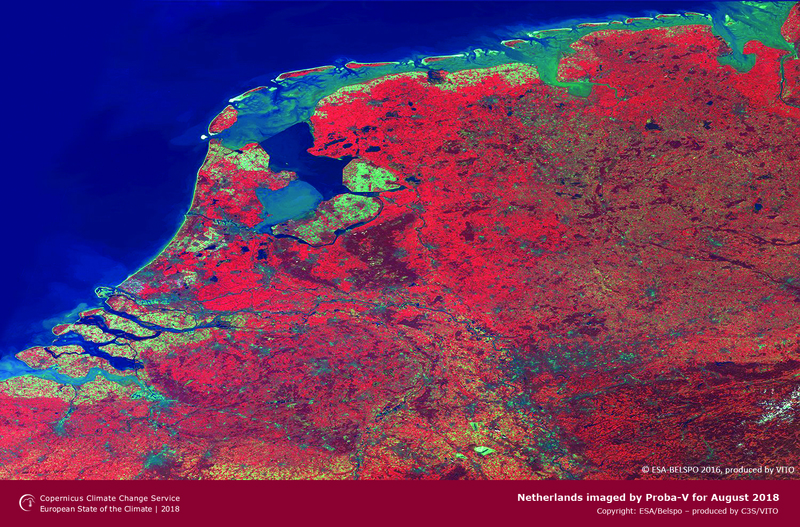 Now in its fifth year, the European Union’s flagship Earth observation programme, Copernicus, delivers an unprecedented quantity of environmental data which backs public policy and a growing knowledge-based economy. Freja Vamborg, Senior Scientist at the Copernicus Climate Change Service (C3S) at ECMWF, lead author of the European State of the Climate summary, will present the findings at a press conference at the European Geosciences Union General Assembly (EGU) on Tuesday 9 April 2019 at 14:00 CET. The European State of the Climate was compiled by the C3S with additional contributions from the Copernicus Atmosphere Monitoring Service (CAMS), the Copernicus Emergency Management Service (Copernicus EMSEMS), the Copernicus Marine Environment Monitoring Service (CMEMS), ECMWF and other partners. It covers data on Europe and the European sector of the Arctic, placing the year of 2018 in the long-term climate context. Additionally, it summarises global information for the key climate indicators such as temperature, greenhouse gases, sea ice, glaciers and sea level. Content for the European State of the Climate is based on a number of key datasets. These include both satellite and in-situ data alongside global ‘reanalyses’ computer modelling which uses a combination of algorithms and multiple historic data sources as well as results taken directly from computer models. This ensures information is based on the latest data and provides the most up-to-date maps, graphs and a host of other materials. Free-to-use and reliable data provided by the Copernicus services offer valuable insights for many sectors which impact society including agriculture, civil and humanitarian aid, health, insurance, security, tourism and urban and regional planning. 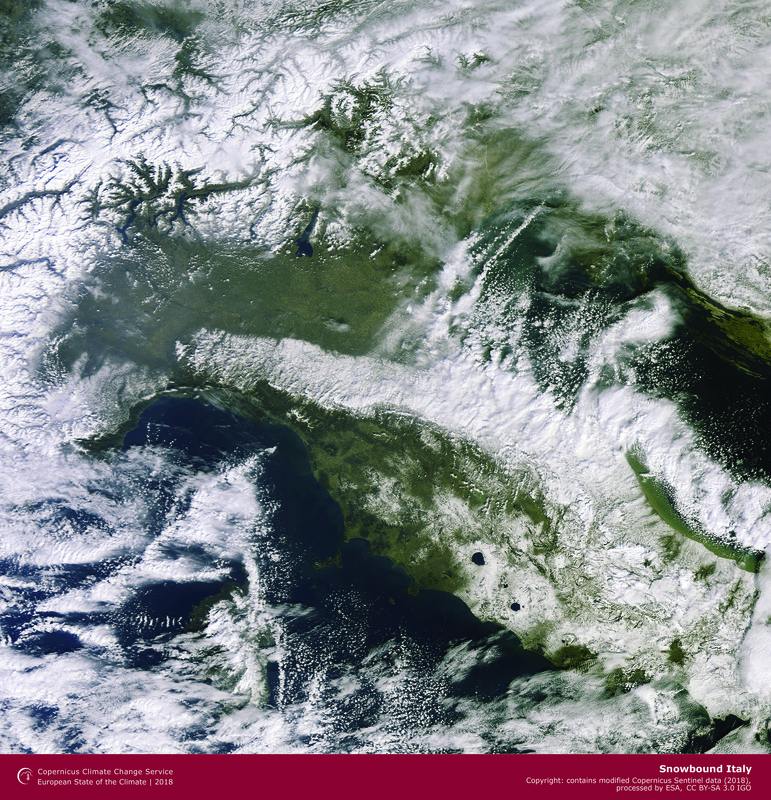 Copernicus is also a contributor to the World Meteorological Organization ‘Statement on the State of the Global Climate in 2018’, released in March 2019, which gives a worldwide view of the year. For those who missed the session at the EGU, the complete press conference can be watched here. To find out more on the European State of the Climate and access the full content, visit following webpage.